Alyssa and Ashley, two college girls with an unhealthy obsession with everything makeup and fashion! As a college student there are a few essentials we MUST have when trekking our way to classes. Right? Right! I'd say my major must have would be a large tote bag; my favorite-Armani Exchange in all black of course. There are just so many things as a student you need to make sure you have on you at all times. Which brings me to my next must-have, a coat and boots. If you're going to be walking around campus all day, you have to be prepared for chilly fall air, rain, or the change that it will be 60 degrees in November (happened way too many times for my liking this year.) So when that 60 degree weather hits you want to be able to take your coat off and throw it in your tote. Or you want to make sure you can whip your umbrella out before the rain ruins the blowout you spent 30 mins on the night before. 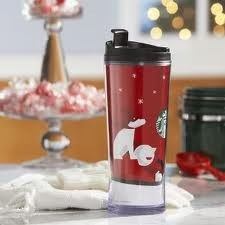 And my last, but certainly not least, a Starbucks traveler mug! I'm addicted to Starbucks and I kind of have an obsession with their holiday travel cups...so I always have one in my hand! Santa came (way) early! 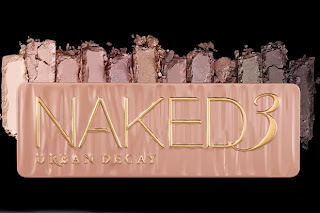 Urban Decay's Naked 3 Palette is here!